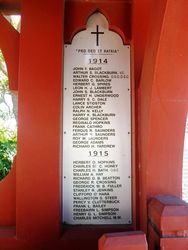 The Lych Gate was erected in memory of the men of the parish who enlisted in World War One. 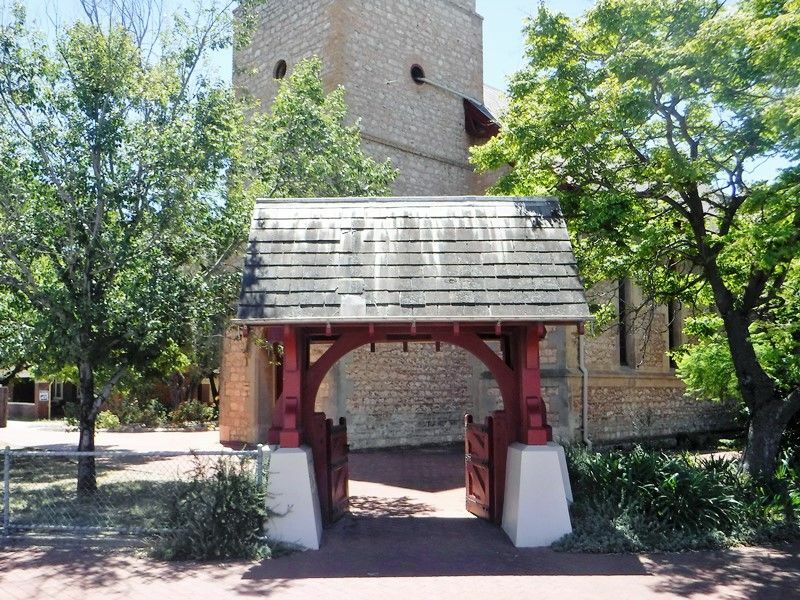 The foundation stone was laid in May 1919 and a dedication service conducted by the Reverend E. C. Loan was held at the gate on the 28th September 1919. 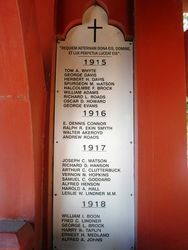 Inside the gate are four stainless steel plaques which list the names of those who served. 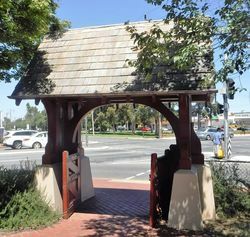 Originally the plaques were made of brass, but owing to deterioration over time, they were replaced when the gate was totally restored and rededicated in 2002. 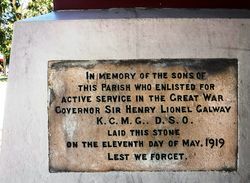 The ceremony in connection with the laying of the foundation stone of the Soldiers' Memorial Lych Gate was held at St. Margaret's Church, Woodville, yesterday afternoon. The service in the church was largely attended, and hundreds of persons were unable to gain admittance. After an address in the church by the Bishop, the congregation adjourned to the front of the building, where the Bishop of Adelaide (Rt. Rev. A. N. Thomas) blessed the stone which was laid by the Governor (Sir Henry Galway). Colonel A. H. Powell, C.M.G., gave an address on behalf of the relatives of the men who had returned, and Archdeacon Hornabrook, on behalf of the relatives of the fallen. About £40 were laid on the stone. Daily Herald (Adelaide), 12 May 1919. 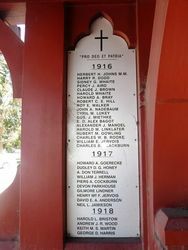 In memory of the sons of this Parish who enlisted for active service in the Great War. Governor Sir Henry Lionel Galway K.C.M.G., D.S.O. 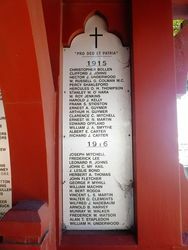 laid this stone on the eleventh day of May, 1919.